Ladakh is located amidst snowy mountains and frozen lakes, this imparts a sense of serenity and tranquil calm to all those who visit. It remains one of the topmost travel destinations and attracts tourists from the subcontinent as well as foreign countries. As one of the hotspot tourist spots in India, Ladakh can be accessed in various way and each way offers unparalleled views and experiences. Here is a look at some of the travel routes to Ladakh, rest assured all the routes promise a memorable Ladakh holiday. Airways serve as a year-round solution to reach the beautiful valleys of Ladakh. The views you get when flying over the snow-covered mountains and peaks on your journey to Leh are truly picturesque. Different airlines connect Ladakh’s Kushok Bakula Rimpochee Airport to major cities in the country. Airplanes from Delhi, Chandigarh, Srinagar, and Kashmir ply all through the year. The frequency of flights increases during the peak season, allowing more tourists to enjoy the pristine beauty of this hill station. Off-season weather conditions, like heavy snowfall and rains, may hinder the normal routine of flights and cause changes and delays in bookings. Kushok Bakula Rimpchee airport is well-connected to the rest of the city by taxis and shuttles, making it easy for you to reach your hotel. An important point to keep in mind while booking Leh-Ladakh flight tickets is that the airport is a military terminal. Hence, security is very strict. It is advisable to take a print-out of your tickets and keep all verifications documents at hand before reaching the airport. Traveling to Leh-Ladakh by train is an experience in itself where you get to see nature and its landscape in raw beauty. The nearest railway station, about seven-hundred kilometers away, is in Tawi, in the state of Jammu & Kashmir. Jammu Tawi railway station receives trains from all major cities of the country, like Mumbai, Kolkata, and Delhi. 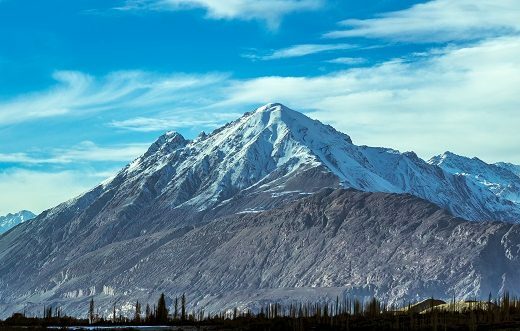 Since the railway station is quite far from Ladakh, there are a various taxi and inter-state bus services available outside the station that can take you to the heart of the snowy city. These cabs to Ladakh can be pre-booked and take you to Leh in approximately fifteen hours through the meandering paths along the hills. It might take around two days to reach Ladakh, if you have chosen to travel by train, however, the views are truly rewarding and ensure you don’t look at your watch as you gaze into the tranquillity of nature. What’s more, it serves as the perfect budget mode, taking less than twelve-thousand rupees. Club your Leh-Ladakh trip with a trip of Jammu and Kashmir when you choose to travel by train and experience the elegant opulence of paradise on earth. The thrill of reaching Leh-Ladakh by road engulfs one and all. Traversing the serpentine paths, some of the highest in the world is an adrenaline infusing experience that stays with you for a lifetime. The various routes to Ladakh by road can be covered by bike, car or bus. Verdant valleys and snow-capped mountains welcome you as you take your bike through the Manali-Leh Highway. The route stretches through an expanse of four-hundred and ninety kilometers with magnificent landscapes and the raw beauty of nature. 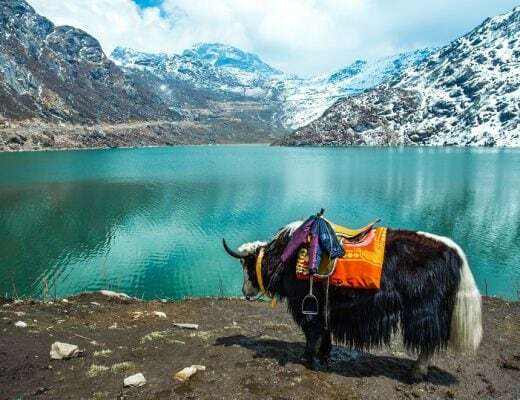 You can start your road journey from Manali and traverse through Rohtang, Gramphu, Kokhsar, Keylong, Jispa, Darcha, Zingzingbar, Baralacha La, Sarchu, Gata Loops, Nakee La, Lachulung La, Pang, Tanglang La, Gya, Upshi, Karu to finally reach Leh. This highway is open only for a few months during the summers, due to the frigid conditions in winter. Hence, even though the distance is lesser than the Manali-Leh highway, this path is less traversed. The route starts from Srinagar making you travel through Sonmarg, Zozi La, Drass, Kargil, Mulbek, Lamayaru, Saspol and finally ending at Leh. While bike riding is adventurous and exciting with friends, car journey adds up for a comfortable and pleasant ride among families Traveling to Ladakh. You can follow a route from Srinagar or Manali, depending upon the closure of highways due to weather conditions. You can easily take an SUV to Leh-Ladakh between May and September for a happy ride. Buses ply from Manali and Srinagar, traveling through the various passes. You can take the bus through Zoji La or Rohtang Pass. However, bus rides tend to become quite tiring due to the sharp curves and bumpy roads. 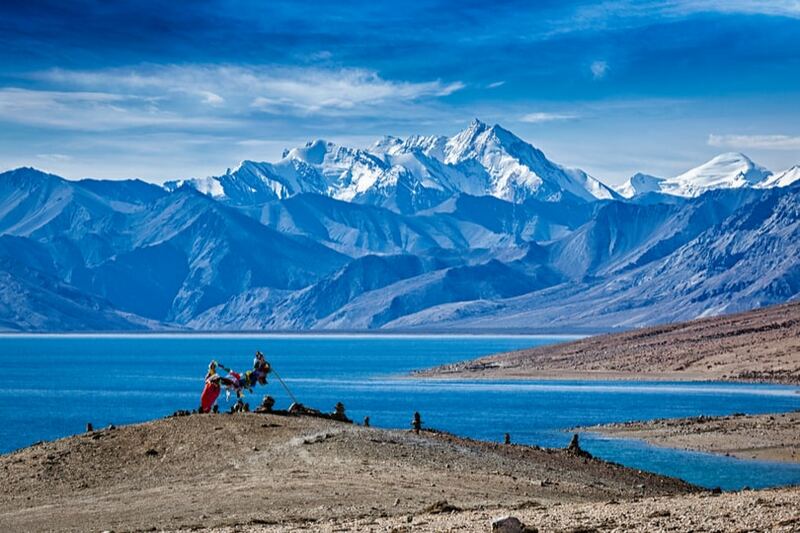 There is a direct bus from Delhi to Ladakh that covers a distance of twelve-hundred kilometers.